The Balaton Panzio Földvár Guest House is in the heart of the popular resort of Balatonföldvár, just 3 minutes walk from the Lake where there is a beach. We offer a range of newly furnished twin, double and family rooms, all with en-suite bathrooms and mini-kitchens as standard. Situated in a peaceful, tree-lined residential street in the centre of the resort, Balaton Panzio Foldvar is conveniently located opposite the East beach, 5 minutes walk from the Marina and 10 minutes walk from local bars and restaurants. 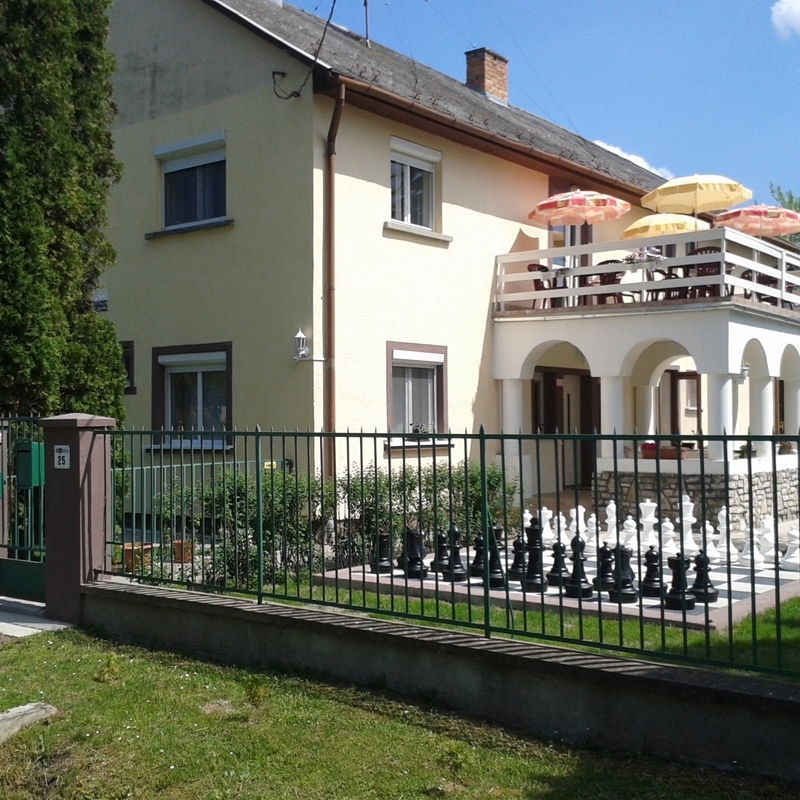 It is therefore perfectly located for that relaxing stay in Balaton Földvár. A large private secluded garden and off-street parking is also provided for guest use. Thanks to the continuous improvements and modernizing, we will be able to host the guests in warm rooms in the colder periods as well. We also provide the possibility to store ships, water vehicles in closed area in the off-season at affordable prices.